I can’t believe we were just in Switzerland last week–it’s incredible how fast time flies, especially when your 10-day vacation spits you out right where you left off in real life. Wedding planning, work, summer activities, oh my! The fiance had a free day in Geneva the day before I arrived, and he had to work my first full day there so we covered different things and regrouped on our experiences later when we had some down time. 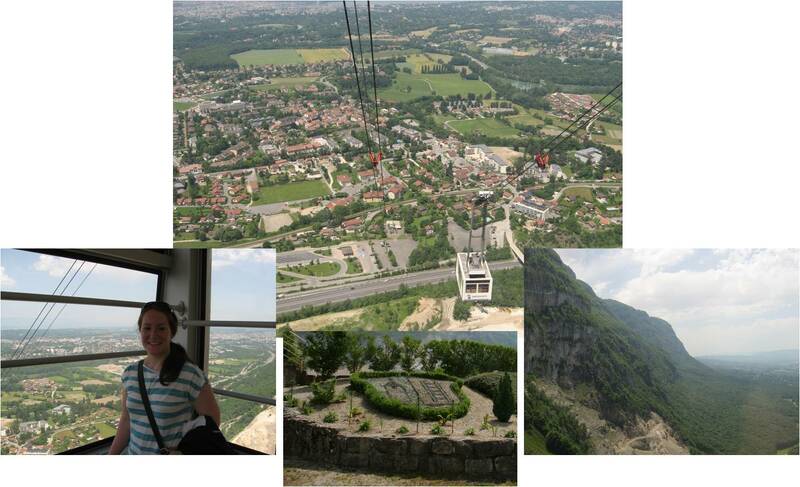 This was my second time in Geneva so I spent my first day traveling out to Mount Saleve to take a cable car up the mountain for some views of the city and valley, and then returned downtown for a relaxing boat ride around Lake Geneva, neither of which I had ever done. I didn’t even realize they were options during my first visit so many years ago! 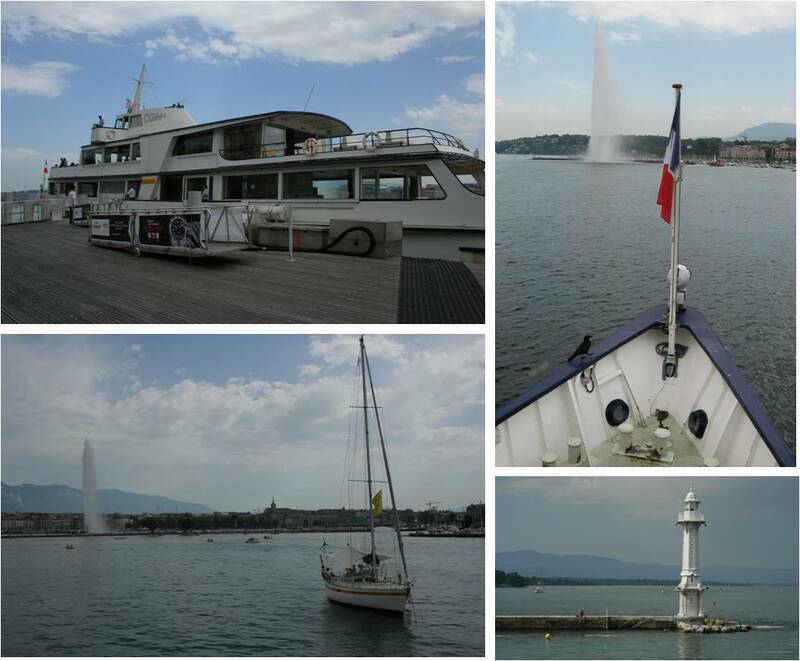 Geneva tourism provides a nice little perk with the Geneva Transport Card. When you stay in Geneva, you are given this card–free of charge!–which gives you access to the tram, bus, train and even water-taxis during your stay at no cost! We stayed at the NH Geneva Airport Hotel, which was a little way outside downtown, so the card was perfect. We just walked to the nearby tram station and rode the tram downtown and back at no cost. I also took the bus out to the small village at the base of the mountain and back, and while there just walked through the village to get to the cable car, all for free. The card also gave me a discount on my boat ride around the lake! 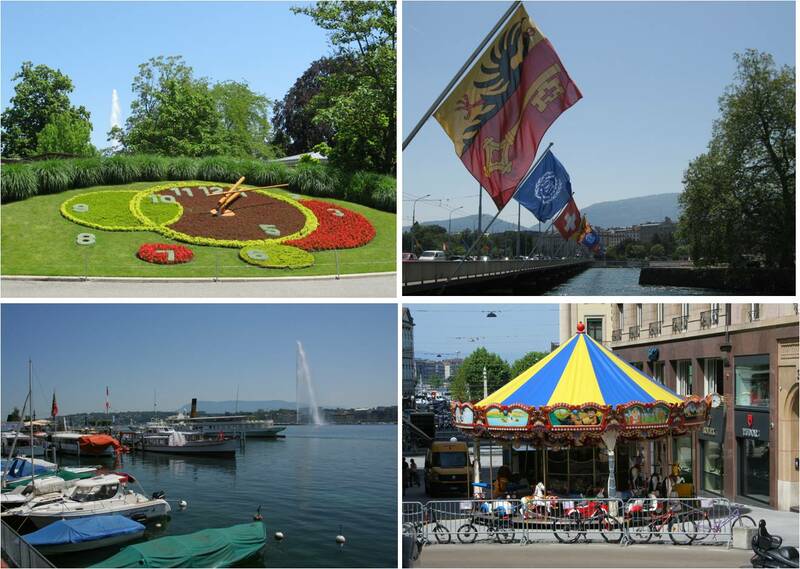 Geneva is very easy to get around. My second day was just a half-day as I was catching an early afternoon train to Paris. I loaded up my suitcase and again took the tram downtown to the main train station, where I stored everything in a locker. 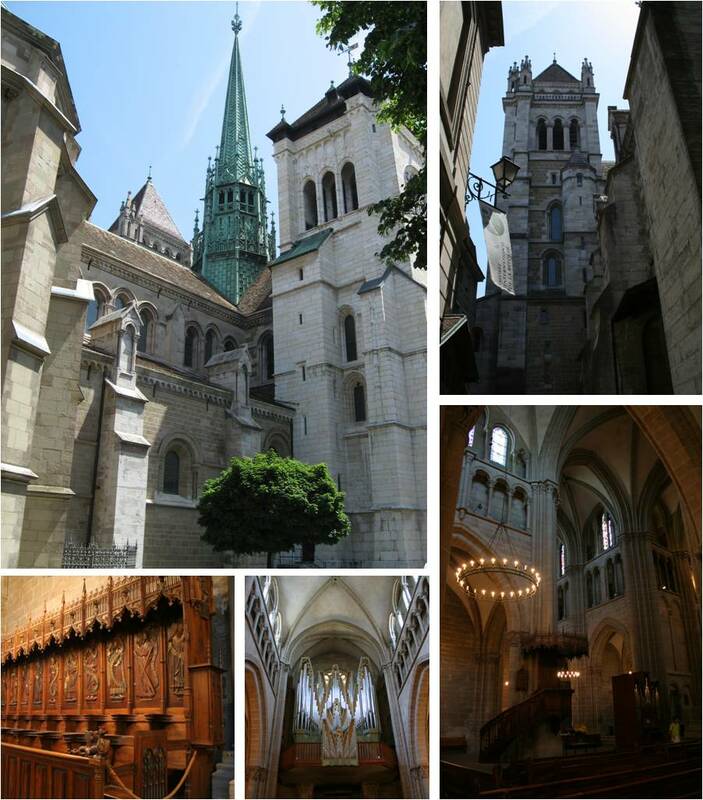 I popped in the tourism office to get a map and walked to the Old Town to see St. Pierre’s Cathedral and the Reformation Wall before coming back to spend a little more time around the lake before I had to make my train. It was quite hot–about 90 degrees both days–and I had a spot of rain during my boat ride that quickly blew over. I was thankful for my sunscreen and sunglasses, and made the most of my day and a half, walking all over and seeing as much as I could. Our first evening we were lucky enough to get a personal tour of a couple small bordering villages in France by two girls who work in the European office of the fiance’s company. They took us up the mountain opposing Mt. 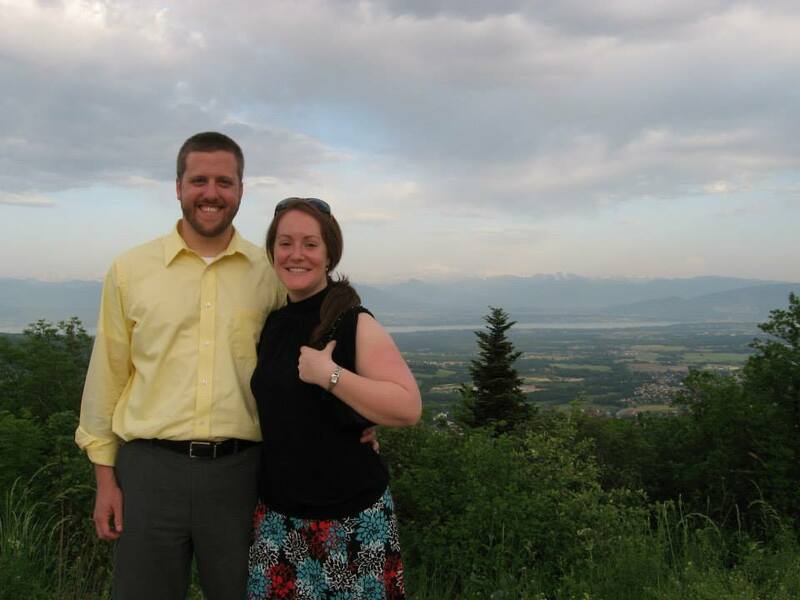 Saleve to see Mont Blanc and the valley (my happy couple picture at the beginning of this post), to a small bar for some wine, and then to a wonderful late-night dinner at a local restaurant. No matter how well you plan a trip, there is nothing like having some locals take you to their favorite spots–and we needed them, because while my French is suitable in case of emergency, it wouldn’t have gotten us very far in these small country towns! Switzerland was a success, but I wish we would have been able to explore Geneva together. 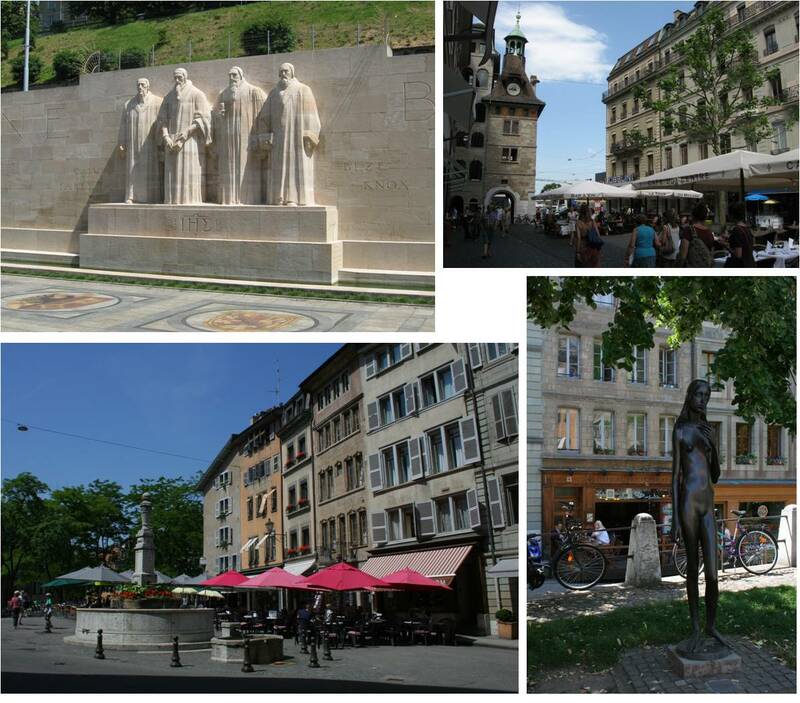 I think it’s going on my list of places to see in the future when we can take a couple of weeks to just make our way across the country, from Geneva to Zürich and everywhere in between! I’ve been to 4-5 cities, but there is a lot more to see and do, and I would love for the fiance and I to experience it together.